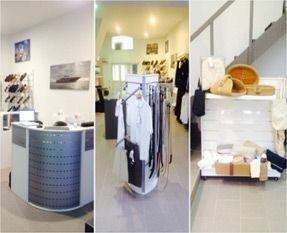 DWD, Dolphin Wear & Decker's Head Office, Workshop and main Showroom are located in Antibes marina neighborhood, within close proximity to Europe's Largest Marina, Port Vauban, which has over 1800 berths. Contained within Port Vauban is 'The International Yacht Club of Antibes' which holds a unique position by being able to accommodate some of the largest yachts in the world, with 19 berths that can house yachts of over 100 meters in length. This ideal location, in the very heart of the Mediterranean's yachting trade industry, helps DWD, Dolphin Wear & Decker keep its finger on the pulse of the industry and assists in offering its customers as much convenience as possible. To view the latest uniform display, for a fitting or to buy uniform directly. Our Sales team are happy to assist you in 5 different languages. For order collection after payment or approval from a representative.